As much as I enjoy painting up a whole army it is sometimes very refreshing to paint up a single miniature. Whether to try out a new technique or just to break the sometimes monotonous routine of army painting, a satisfying quickie with a solo entry is indeed great fun. 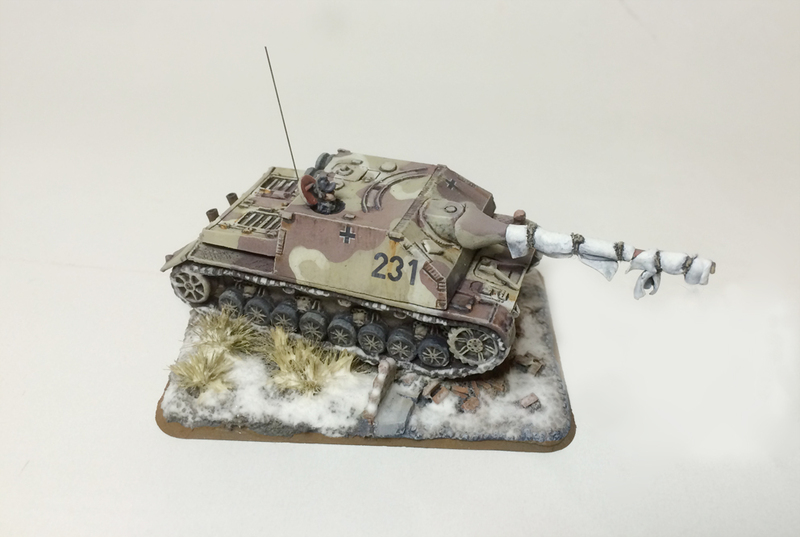 For a Flames of War enthustiast such as me, the Iron Cross painting competition offers a yearly event to showcase our best work and to show off our mad painting skillz. The following are some of my winning entries to ICPC. The Jagdpanzer IV/70 (Alkett) is an absolutely beautiful tank. The angular shapes and somewhat clumsy appearance have a great appeal to me. 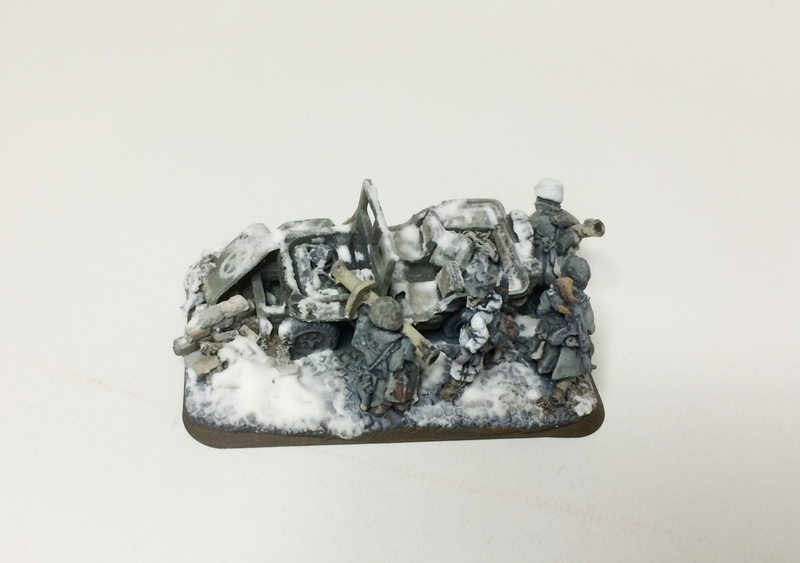 Originally I wanted to paint up a platoon of these for an Unternehmen Nordwind themed army, but as it happens I never learned to field them on the battlefield, so I finished just this one. The camo pattern is semi-fictious, as I have only seen the Dunkelgelb-Rotbraun-White combination on some Panzer IV J’s and Hetzers. 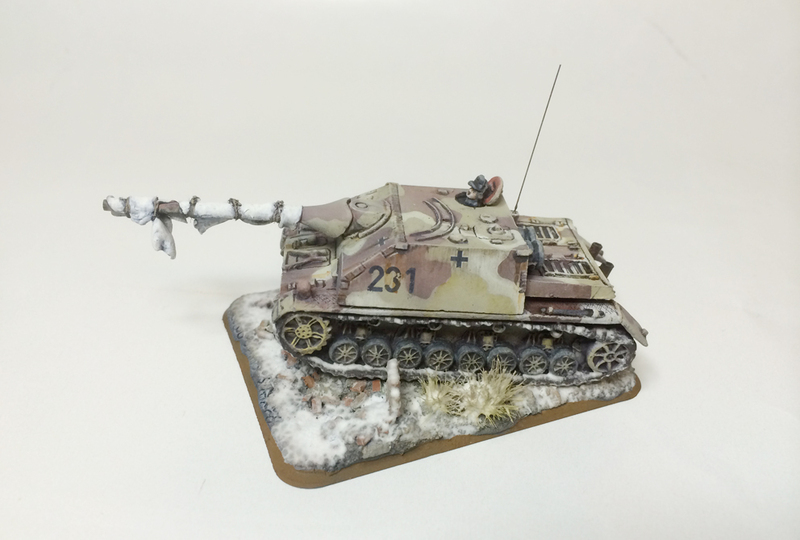 However, I have NOT seen a picture that proves that one didn’t exist on a Jagdpanzer IV/70 A as well… The model won Best Tank in European Iron Cross 2013. I have been studying the Battle of the Bulge a lot. The atmosphere of impending doom and the End Times contrasting with the pure white snowy landscapes is very interesting. Also, the era has been relatively well documented and therefore reference pictures are fairly easy to find. 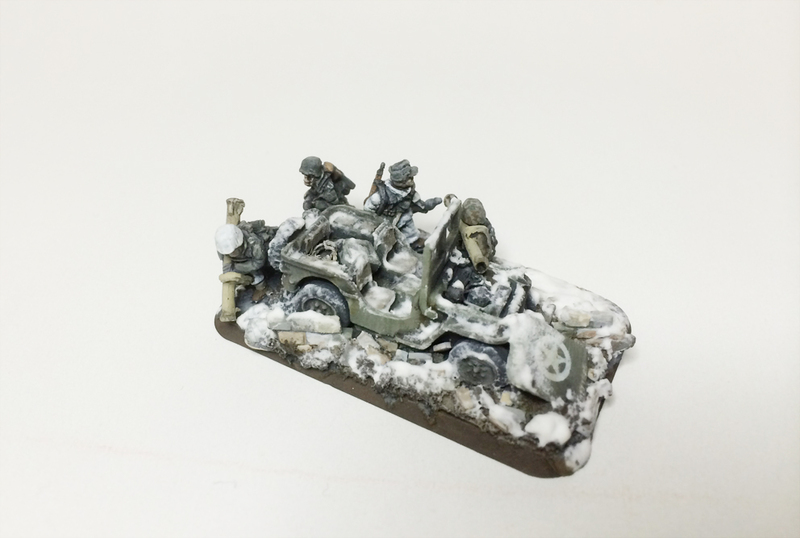 I painted this Panzerschreck team with Iron Cross Competition in mind. The team can also be used as a part of my Nordwind army. The team won Best Infantry in European Iron Cross 2013. The Iron Cross category that has the most variety is definately Best Hero. As the Flames of War heroes can be Infantry, Gun teams, Tank Commanders or even aviators, the category usually has all those represented. 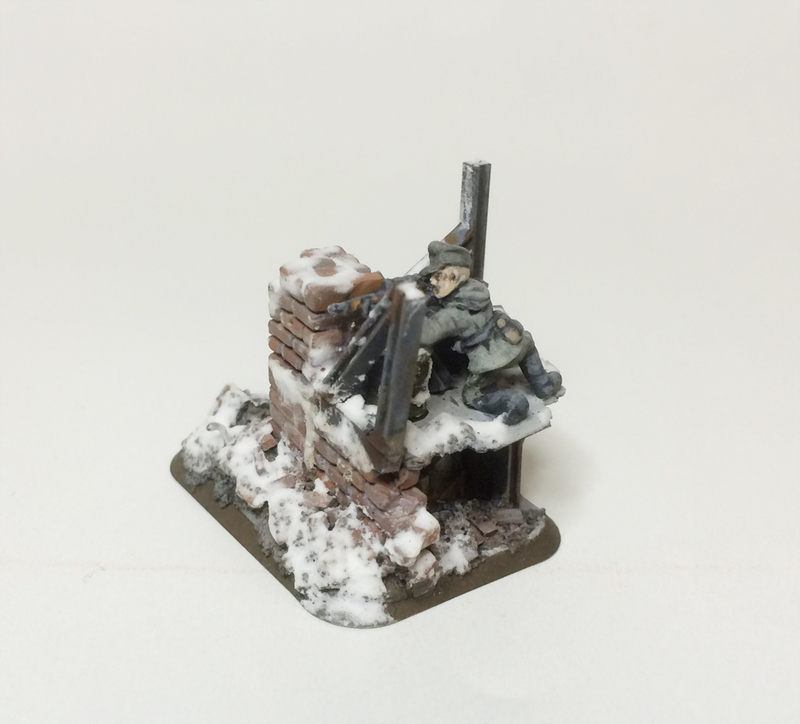 On 2013 I decided to paint up the famous German sniper officer Bruno König. I had just watched the movie Enemy at the Gates and was greatly ispired by the devastated city landscape of Stalingrad. 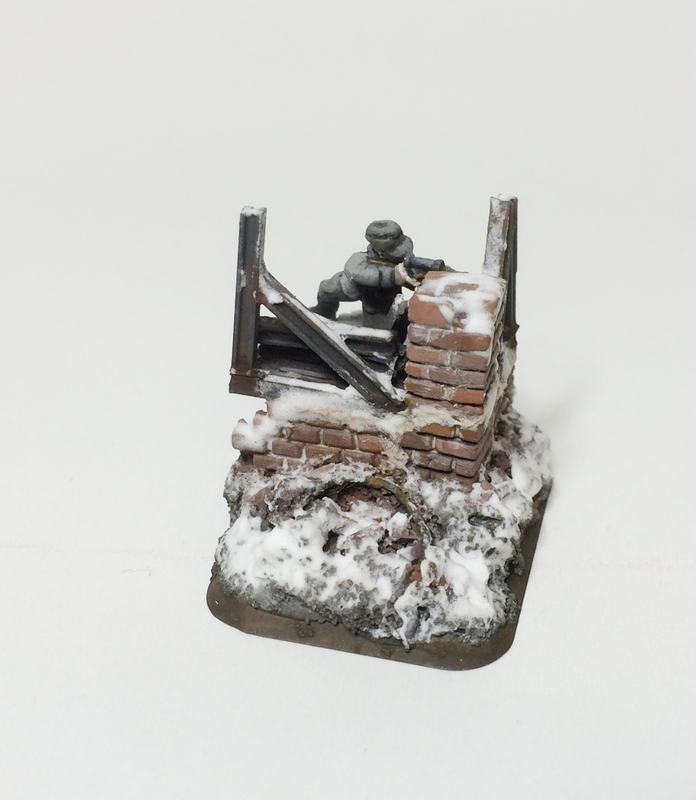 On this entry the main focus really is the base itself more than the actual sniper. The entry won Best Hero in European Iron Cross 2013. These entries have been an absolute blast to paint, but the best part has been envisioning and designing them. I highly recommend painting solo miniatures without having to think of how it will go together with an army scheme or theme. 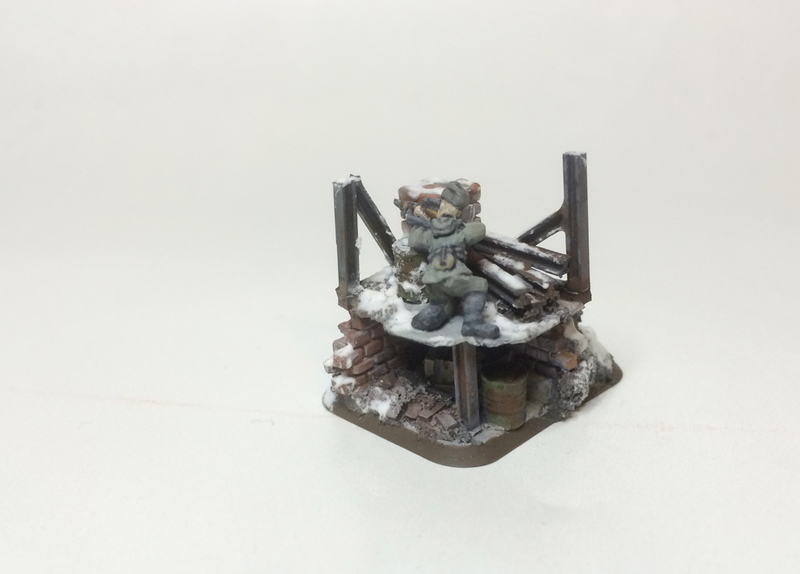 In a way the Iron Cross entries are the testing facility of new techniques that will then be used on whole armies. Exploration and innovation is the thing here! Very impresive paint. I very much like the snow. Alkette also very nice painted, but beautiful tank? Lol. Thanks for the comment and also for stopping by? Dammit! Am I the only one who actually likes the Alkett design?! None of my so called friends like it either. Well, I guess it is a bit …bulky.